Winter is the perfect time to start looking for flower bed ideas. Big or small, it’s time to start to conceptualise, create and construct. 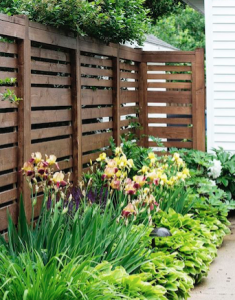 These flower bed ideas will help you get started. 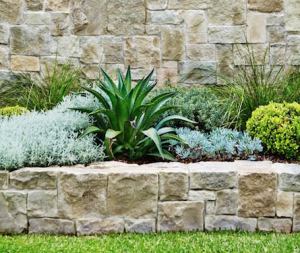 There are many different shapes and styles of flower beds, paths, borders, and lawn areas, and these should fit with the surrounding landscape and buildings, as well as considering our Gold Coast climate, and the soil type. As with any garden you start at the base – the soil. Your soil should drain freely, whilst still holding some water and nutrients. You can change the structure of the soil by adding manure, compost, sand and peat. Bunnings also has variety of soil treatments that can assist with improving the soil. 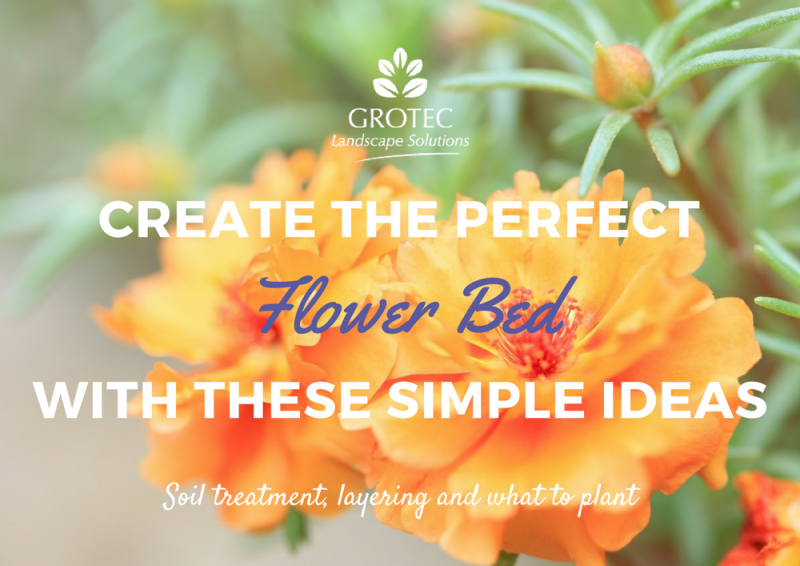 For advice and soil analysis for flower beds, call the experts at Grotec. The choice of plants for a flower bed is limited by location, soil type and climate of your area, and should reflect your personal style – a relaxed person who likes pottering will allow perennials to spill over borders, while a person who likes order would have a symmetrical layout with trimmed edging. Planting in a flower bed is where ‘less is more’ by limiting the range of varieties that are used, or even the colours, and with different levels of planting – tallest at the back with large leaved plants giving shade to those underneath, and creating an informal edge (see Garden Edging Ideas). As well as providing you with a well-considered design, our experts will advise you how to plant for flowers, fruits, or leaf size so that your sub-tropical garden will provide interest and colour that changes for our four seasons.